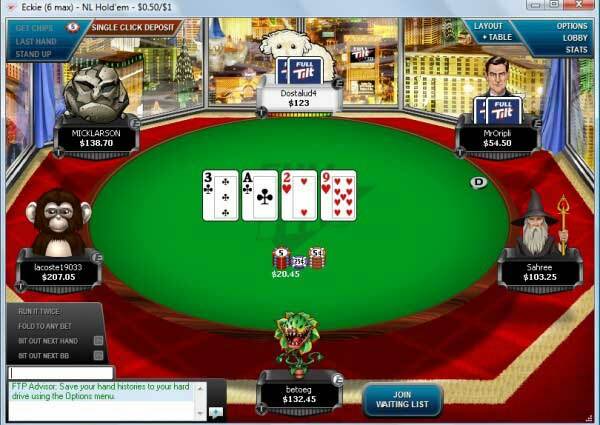 Full Tilt has been one of the biggest brands in Poker since it launched back in July 2004. For years it was battling with PokerStars to be the foremost brand in online poker. 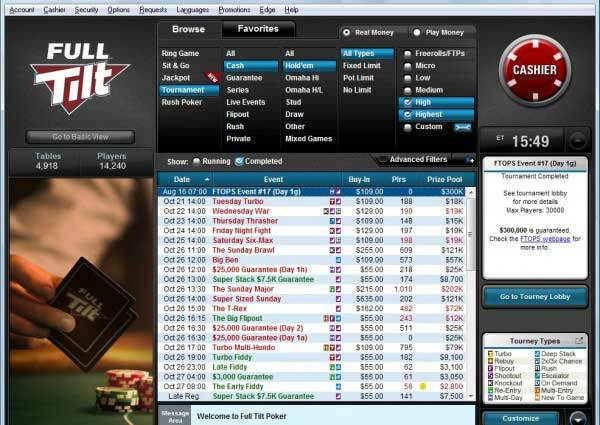 Full Tilt Poker has been at the forefront of new developments in Online Poker, and was the first to launch “Fast Fold” poker with it’s “Rush Poker” and was also the first to bring “Multi Entry” tournaments to the online arena. It seems that Full Tilt is moving into the casino business with the forthcoming launch of the Full Tilt Casino. July 16, 2013: The announcement from The Rational Group, who own Full Tilt, that the brand would be moving into other forms of online gaming was made. The first step in this expansion is thought to be a full spread of Online Casino games, with further expansion, possibly into Sports Betting. The “Poker” part of the Company name is expected to be dropped in favour of “Full Tilt Gaming.” While a date hasn’t been announced for the change over, it does tie in with some questions on a recent player survey that asked players their views on expanding Full Tilt’s offerings to include Casino Games and a Sports Book. It seems that the players didn’t have many issues with the change as it seems to becoming a reality. We are still waiting for the announcement of what Games are going to be available when the new Full Tilt Casino launches, but we can make some assumptions of what will be available. Blackjack is a casino staple, and we can expect the new Full Tilt Casino to offer this product straight out of the gate. Blackjack has got a large strategy element, and we have some strategy articles here to help you get started. Video Poker may be newer than Blackjack, but it has been taken to the casino’s heart as a popular game with the public. Don’t mistake Video Poker as being the same as the game of Texas Hold’em. Video Poker is a different beast, and has it’s own tactics and strategy to take into consideration. If the Full Tilt Gaming casino follows other casinos in the marketplace, it will most likely launch with a collection of Virtual Slots. These will most likely be exclusive to the Full Tilt Casino, and I’m expecting these to be of the usual high quality we’ve grown to expect from Full Tilt. Also expected in a second phase is a Sports book, allowing Full Tilt customers to bet on their favourite sports team and will most likely include some interesting accumulator bets. We’ve not seen the New Full Tilt Casino software yet, but based on what has previously been released by the company, we’re expecting a high quality, slick and very user friendly product. We’ll have a review of the software soon after it’s launch. As with the software, we haven’t seen any of the bonuses available for the Full Tilt Casino yet, but we are expecting something approaching the $600 poker bonus currently available. We’ll be able to give some information on the Bonuses after they’ve been released. We may not have seen the Software, we may not have evaluated the Bonuses available, and we are only guessing at the games available. What we do know is the company behind the new product. Full Tilt and it’s owners, the Rational Group, are the industry leaders. Any product coming out of their development departments is going to be top notch, and we would be amazed if this isn’t the case with the Full Tilt Casino.